I was a high school teacher and had always worked a lot with kids and experiential education. After having kids of my own, I thought it would be great to teach adults. I was fortunate to be a part of Crossfit Kirkwood from day one in 2008. After 4 years of being a part of CFKW, I knew I wanted to combine my love for crossfit with my teaching background and got my Level 1 certification in 2012. I wanted to program and have my gym in my garage, a very convenient location for being near my kids and teaching class. I was and am really motivated to share crossfit with everyone. My mission is to show people that it is for everyone, no matter your current level of fitness. My 2 years of running Legs Gym has brought me lots of joy and a wonderful community. I used to run marathons, tried boot camp, but they were always the SAME! 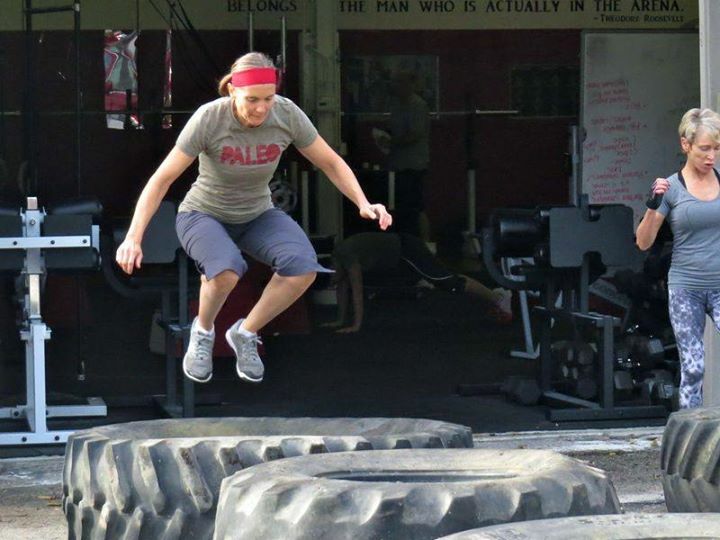 I love that Crossfit uses functional movements and is always different. The intensity of Crossfit always keeps me motivated to push harder than I thought I could. I am honored to join the training staff at CFKW. The missing piece to having my own gym is the trainer community. I really look forward to learning from all of you, trainers and clients.